Hi there! Let me introduce myself. My name is Inna Savenko. I am founder and head of DrawingWithIce project, which is a result of my two passions - art and designing of natural jewellery. When I was a child, I loved drawing so much, that album and paints were with me everywhere wherever I went. 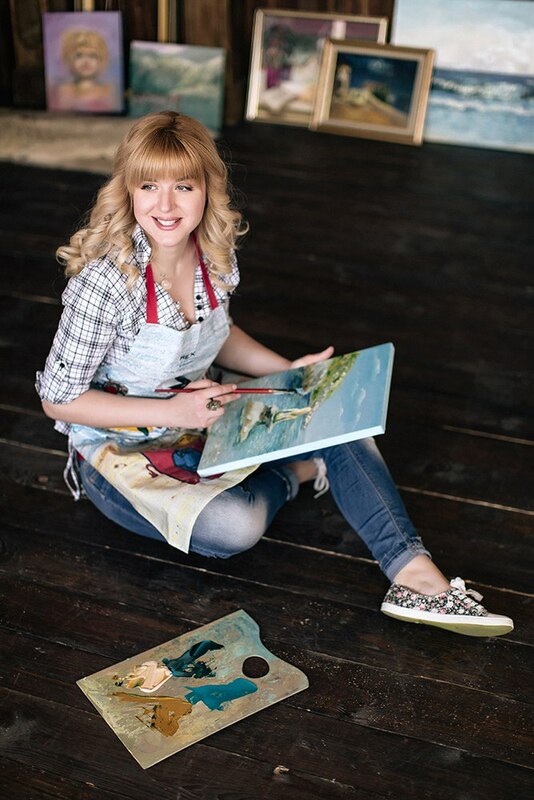 I graduated Kiev National University of Culture and Art with a degree in “artist, master, teacher of decorative arts”. More than 7 years I worked at Children’s Art Studio, passing on the torch to the young talents. Throughout this time, I continued to paint, learn new decorative techniques. In 2014 I created a several shops on Etsy where sold results of my art. Afterwards, I merged my shops into the one, where my jewellery with flowers in "ice" and pictures are represented. I am very pleased to know, that my pieces of art give joy to different people all over the world. The main inspirer for me is the Nature. This is reflected both in oil painting, and in the design of natural jewellery. I love to experiment with combinations of different art styles and techniques. I like to watch the nature and harmony of it. I love yoga and meditation. With a big pleasure I always go to the plein-air and travel to discover some new places for me. I admire an ancient architecture. I love to draw etudes of new places. I always try to feel and transfer the atmosphere and coloring of them on my pictures. What is the art for me? The sense of my art I see in my possibility to bring to the viewer beauty and joy. If God blessed me with the ability to see beauty there, where somebody else would passed by, if He gave me ability to show the beauty on the canvas, probably, I will be able to pay people’s attention on the beauty around us. As is known, where the attention is, there are energy and development. I want to increase beauty and harmony in the world. I am sure, that my pieces of art are able to save the energy they were created with. That is why I never start drawing in a bad or restless mood. I feel great responsibility for results of my art, because creation can not to be just a mechanical process. I sincerely hope that my pieces of art will bring joy to their owners.